An Emergency Medical Technicians (EMTs) provides basic and advanced life support to patients who are ill or injured, and EMT programs will ensure that EMTs are highly trained to perform the many amazing functions they do. Some of these are treatment of shock, administration of cardiopulmonary resuscitation, known as CPR, bandaging of wounds, immobilization of fractures; assisting in childbirth, suicidal patients, burn victims and many others. While their duty list is vast and varied, the specific tasks that they perform will be based on the level of certification that they have gained and the education level obtained. To be able to perform all these duties, they will be involved with high quality and accredited EMT programs. Paramedic degree programs will include the full spectrum of training techniques and will include lectures, hands-on-training, simulations as well as computer-aided training modules. Paramedics will also do advanced courses in physiology, anatomy, patho-physiology, emergency response care, pharmacology and trauma. Remember that is you are doing your EMT paramedic degree program online, you will need to complete your hands-on training at an approved medical center or school. For students to enter into these emergency medical technician programs they will need to be 18 years of age to obtain EMT certification. Requirements necessary to practice as an EMT vary according to each state’s regulations. There are also four levels in which a person can be certified. The basic EMT is known as a first responder, the next level of EMT would be the basic level, an EMT 2 or 3 is next followed by the paramedic. Continuing education is required to stay abreast of new procedures. It doesn’t matter what level of EMT certification you have, because your license is only valid for a certain period. The National Registry of Emergency Medical Technicians (NREMT) has established a refreshers class’s process in order to renew each license, and to this end EMTs can do a three day intensive program which will provide 24 hours of continuing education. On top of that the EMT will be able to complete skills for EMT state re-certification. The reason that you need to renew your license is that the medical care industry is continuously changing and advancing and the EMT has to be kept up to date as new techniques and equipment are developed to save lives. Renewing your license will vary from state to state but generally the license lasts for about two to three years. The refresher courses will require up to 60 hours for medical specialists like paramedics, though this will also vary, depending which state you are in. If you find it impossible to renew your license at the right time, it is possible to get an extension in some states even though it may require an additional fee. Bear in mind that if you don’t complete your refresher courses in time and then apply to renew your license, you could lose your license and not be able to practice anymore. Make it a priority so that all your training does not go wasted. Programs to becoming an EMT vary by state, so you need to make sure of the requirements with your state’s EMS office. Always make sure that the program you select is approved by the state. 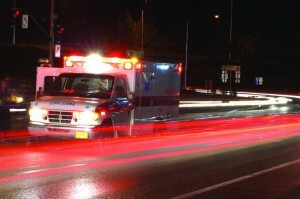 To become a certified EMT you will need to pass the EMT-Basic exam. Once you are certified, you must earn your state license which will need to be renewed every few years by completing EMT continuing education courses. find out what the training facilities and equipment is like because broken and dirty classrooms and equipment will be an indication that the college doesn’t care much about their program or the students taking part. find out how many students are assigned to each instructor -The American Heart Association for instance stipulates that for CPR classes, there should not be more than eight students to an instructor. With a large group of students, the instructor will not be able to interact with each student, and for such an intense program, personalized and thorough imparting of knowledge is essential. find out how much time is dedicated to lectures as well as hands-on training. There should be a good balance. The programs are designed to prepare the individual for all of the basic emergency care skills that will be required of an EMS professional. Apart from head-knowledge, the student will also have to learn how to make use of medical equipment. The EMT programs will always include a combination of classroom learning and hands-on training. Advanced Cardiac Life Support (ACLS) – this program will provide the EMT with skills to handle a cardiac arrest situation. Students will be exposed to lectures, case studies as well as practical application. This course is short but intense and will be two days long after which a certificate will be awarded. To be able to do this course, students will already need knowledge in pharmacology and dysrhythmia recognition, have a CPR certificate as well as paramedic certification. Pediatric Advanced Life Support (PALS) – this program will provide the student with information to recognize a child who is at risk of cardiopulmonary arrest. Students will also learn the skills to develop cognitive and psychomotor skills for resuscitation and stabilization of the child who is in respiratory failure. This is also a two day program which will benefit paramedics, nurses and physicians who work with children. To do this program, students will need knowledge of basic dysthythmia recognition, paramedic certification and CPR certification. There are different Emergency Medical Technician programs and each college, university or medical school offers different EMT programs and courses. Valencia College offers programs which are approved by the Department of Health-Bureau of EMS as well as the Committee on Accreditation of Educational Programs for the EMS Professions. Their EMT-Paramedic Program for instance is designed for those students who are interested in providing pre-hospital emergency care to acutely ill or injured patients. These Diploma/Certificate/AS Degree programs will prepare the graduate for State Board Certification or National Registry as an Emergency Medical Technician and/or Paramedic. The EMT program guide provided by Valencia College can be found at valenciacollege.edu/west/health. National Medical Education & Training Center has a team of fantastic and experienced instructors who pass their broad knowledge on to their students. The students will enter the work force with excellent skills to deliver quality patient care at all operational levels of EMS. NMETC offers educational training for the Basic EMT and Paramedic level. Students will be eligible for the EMT or Paramedic licensing exam, as well as the certification exam administered by the National Registry of EMTs for each level. for students interested in career in public safety. program prepares students to handle emergencies making use of basic life support skills. students study anatomy and physiology, oxygen therapy, patient assessment, airway management, , treatment of shock, and bleeding control, fractures, spinal injuries, cardiac arrest, automated external defibrillator operation and an introduction to pharmacology. they use a state-of-the-art classroom and lab area where PowerPoint presentations, videos, and podcasts are part of the training. students who successfully complete requirements are eligible to take the Massachusetts Paramedic exam, the NREMT-P exam. field internship – 250 hours under the direction of an approved preceptor. Once the paramedic program is completed, the individual will be awarded an Associate’s degree. These programs take anything between 1-2 years to complete. As far as employment is concerned, the more qualifications the individual has, the better their chances are of getting the EMS jobs of their choice. The International Wilderness Leadership School (IWLS) is a division of Alaska Mountain Guides and Climbing School and their scope of programs and the technical competence of the instructors ensures students completing these specialized EMT programs will be able to perform rescue and medical procedures in the most demanding environments. Their programs exceed standards established by the National Highway Traffic Safety Administration (NHTSA) for EMT curriculum. The course includes short trips into a wilderness setting to practice emergency response and patient care. Areas where these programs are conducted are Alaska, Pacific Northwest & Utah. The EMT instructors are state certified and they present scenarios to their students that they will encounter in the field. Time is also spent in the classroom. Certifications are received on completion of the exciting 28 day course. They offer their leadership programs in some of the world’s most remote areas. Some of these areas are Alaska, Tanzania, Chile, Argentina, British Columbia, Nepal and others. , Kenya and more. IWLS course locations provide valuable practical experience for outdoor leaders interested in working in the international guiding industry. Once students have completed these IWLS programs, they become certified. IWLS certifications are excellent for advancing your professional development; also because they include internationally recognized standards and practices. All EMT programs will include first aid training along with emergency treatment procedures, which will prepare the EMT to assess and evaluate the condition of patients. Before you sign up for any EMT programs, it will be to your advantage to look up the requirements as well as what’s on offer in your own particular state, in order to make sure they can offer you what you need to reach your goals. Also make sure to do research on the best colleges, whether online or traditional, to make sure the programs you select will be the very best.